Doctors and cancer clinics are up in arms about a new Medicare reimbursement scheme that would cut their mark-ups on oncology drugs. But the Centers for Medicare and Medicaid Services has even bigger plans for cancer-drug payments. Pay-for-performance deals and indication-specific reimbursements are on a list of 6 programs CMS plans to try alongside the cuts targeted at physicians and hospitals. It's a rare example of Medicare plucking new ideas from the private sector, even before they've been widely adopted in the biopharma industry. Beginning as early as January 2017, the agency would experiment with the sort of value-based reimbursement plans that Novartis ($NVS) and Amgen ($AMGN) are using on their brand-new heart drugs Entresto and Repatha. CMS says it will be seeking "risk-sharing" deals with drugmakers to link drug payments with patient outcomes. CMS also wants to test indication-based pricing, which vary reimbursement amounts according to a drug's effectiveness in a given type of cancer. Drug-pricing critic Peter Bach, of Memorial Sloan Kettering's Center for Health Policy and Outcomes, has proposed indication-specific payments, and pharmacy benefits manager Express Scripts ($ESRX) is testing out the approach with some of its clients this year. Tyrone's Comment: How are the "refunds" appropriated? 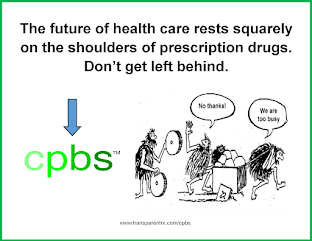 Is it a shared savings or fee-for-service arrangement between the PBM and plan sponsor? Or is the PBM simply doing its job and shouldn't be rewarded for it? These are questions every plan sponsor should be asking now. Value-based and indication-specific pricing are here to stay and soon, if not already, will become standard operating procedure. Like private payers, CMS notes that a cancer therapy "might be used to treat one condition with high levels of success but an unrelated condition with less effectiveness, or for a longer duration of time. 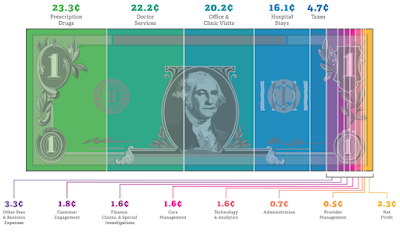 The goal is to pay for what works for patients." To see if the "purchasing tools" work to bring down drug costs, CMS wants to do a couple of head-to-head comparisons, according to the Federal Register notice. One would pit the current reimbursement model of average sales price plus 6% against the same mark-up level, subject to value-based deals. The other would test the new mark-up of 2.5% with flat fee drug payments against 2.5% with value-based deals. The agency says it's looking for input from the pharma industry on performance-based approaches. Right now, CMS says it doesn't know how much money it might save, but "we intend to achieve savings." Meanwhile, pharma and private payers will be pushing their own performance-based deals and keeping track of the results. Novartis has been in the forefront of value-based pricing, focusing on its heart failure drug Entresto. 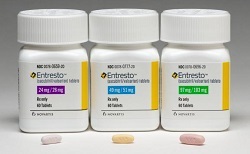 In clinical trials, the med helped keep patients out of the hospital--saving those costs--and the Swiss drugmaker figures it can score points with payers, and potentially, higher sales, by linking Entresto's reimbursements with results. At first, payers weren't convinced. But last month, the company said it had inked value-based deals with Cigna ($CI) and Aetna ($AET). Cigna says its payments to Novartis will depend on Entresto's results, with dollar amounts linked to hospitalization rates.